Bart Wheels provide the ultimate in value and performance for the economy minded racer. 15" x 12" Wide 5 Wheels are perfect for your asphalt or dirt late model or modified racing program and shave weight without compromising strength. Aluminum bead lock rings and mud plugs fit perfectly on all Bart Racing Wheels. Bart Economy Lightweight Wheels reduce unsprung weight and are 360 degree welded with a large inside diameter safety bead. Available in painted or chrome finish. Bart Economy Lightweight Wheel - Black - 15" x 8" - 5 x 4.5" Bolt Circle - 2" Back Spacing - 21 lbs. Bart Economy Lightweight Wheel - Black - 15" x 8" - 5 x 4.5" Bolt Circle - 3" Back Spacing - 21 lbs. Bart Economy Lightweight Wheel - Black - 15" x 8" - 5 x 4.5" Bolt Circle - 4" Back Spacing - 21 lbs. Bart Economy Lightweight Wheel - Black - 15" x 8" - 5 x 4.75" Bolt Circle - 2" Back Spacing - 21 lbs. Bart Economy Lightweight Wheel - Black - 15" x 8" - 5 x 4.75" Bolt Circle - 3" Back Spacing - 21 lbs. Bart Economy Lightweight Wheel - Black - 15" x 8" - 5 x 4.75" Bolt Circle - 4" Back Spacing - 21 lbs. Bart Economy Lightweight Wheel - Black - 15" x 8" - 5 x 4.75" Bolt Circle - 5" Back Spacing - 21 lbs. Bart Economy Lightweight Wheel - Black - 15" x 8" - 5 x 5" Bolt Circle - 2" Back Spacing - 21 lbs. Bart Economy Lightweight Wheel - Black - 15" x 8" - 5 x 5" Bolt Circle - 3" Back Spacing - 21 lbs. Bart Economy Lightweight Wheel - Black - 15" x 8" - 5 x 5" Bolt Circle - 4" Back Spacing - 21 lbs. Bart Economy Lightweight Wheel - Black - 15" x 8" - 5 x 5" Bolt Circle - 5" Back Spacing - 21 lbs. Bart IMCA Beadlock Wheel - Black - 15" x 8" - 5" x 4.5" Bolt Circle - 3" Back Spacing - 26 lbs. Bart IMCA Beadlock Wheel - Black - 15" x 8" - 5" x 4.5" Bolt Circle - 4" Back Spacing - 26 lbs. Bart IMCA Beadlock Wheel - Black - 15" x 8" - 5" x 4.75" Bolt Circle - 2" Back Spacing - 26 lbs. Bart IMCA Beadlock Wheel - Black - 15" x 8" - 5" x 4.75" Bolt Circle - 3" Back Spacing - 26 lbs. Bart IMCA Beadlock Wheel - Black - 15" x 8" - 5" x 4.75" Bolt Circle - 4" Back Spacing - 26 lbs. Bart IMCA Beadlock Wheel - Black - 15" x 8" - 5" x 5" Bolt Circle - 2" Back Spacing - 26 lbs. Bart IMCA Beadlock Wheel - Black - 15" x 8" - 5" x 5" Bolt Circle - 3" Back Spacing - 26 lbs. Bart IMCA Beadlock Wheel - Black - 15" x 8" - 5" x 5" Bolt Circle - 4" Back Spacing - 26 lbs. Bart IMCA Beadlock Wheel - Silver - 15" x 8" - 5" x 4.75" Bolt Circle - 2" Back Spacing - 26 lbs. 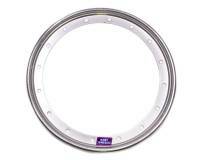 Bart IMCA Beadlock Wheel - Silver - 15" x 8" - 5" x 4.75" Bolt Circle - 3" Back Spacing - 26 lbs. 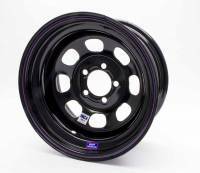 Bart IMCA Wheel - Black - 15" x 8" - 5" x 4.5" Bolt Circle - 3" Back Spacing - 19 lbs. Bart IMCA Wheel - Black - 15" x 8" - 5" x 4.5" Bolt Circle - 4" Back Spacing - 19 lbs. Pit Stop USA is The Online Motorsports Superstore! Bart Wheels provide the ultimate in value and performance for the economy minded racer. We stock Bart racing wheels in a variety of styles. We have Bart Stock Car Wheels, Bart IMCA Wheels, Bart Wide 5 Wheels, Bart Mini Stock Wheels and more at low everyday prices! We offer Bart Chrome IMCA Competition Beadlock Wheels include IMCA Certificate Sticker. Wheels come complete with chrome beadlock ring and hardware. Bart Chrome IMCA Competition Wheels include IMCA Certificate Sticker. Affordable, 19 lb. Wheels for modifieds and other classes 1/4 mile asphalt or 1/4 to 1 mile dirt tracks. Bart Chrome Lightweight Wheels reduce unsprung weight and are 360 degree welded with a large inside diameter safety bead. Bart Chrome Standard Weight Wheels will fit any racer's budget. 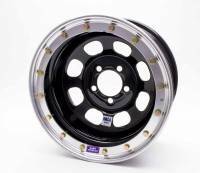 Wheels are 360 degree welded construction and available in all popular sizes. Bart IMCA Competition Beadlock Wheels include IMCA Certificate Sticker. Wheels come complete with beadlock ring and hardware. Bart IMCA Competition Wheels include IMCA Certificate Sticker. Affordable, 19 lb. Wheels for modifieds and other classes 1/4 mile asphalt or 1/4 to 1 mile dirt tracks. Bart Lightweight Wheels reduce unsprung weight and are 360 degree welded with a large inside diameter safety bead. Bart Multi-Fit Economy Wheels have both 4 x 4-1/4" and 4 x 4-1/2" bolt patterns. Available with black painted finish. Bart Reinforced Center Stock Car Wheels have reinforced double centers and are available in all popular sizes. Bart Standard Weight Wheels will fit any racer's budget. 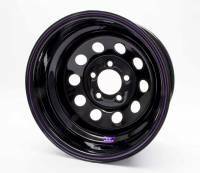 Wheels are 360 degree welded construction and available in all popular sizes in painted finish. Bart Steel Mini Stock Wheels have reinforced double centers and are available in all popular sizes. Bart Steel Wide 5 Wheels are Modified Style Wheels are available in chrome or painted finish. 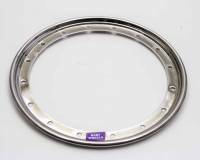 We also carry Bart Beadlock Wheel Parts and Accessories.